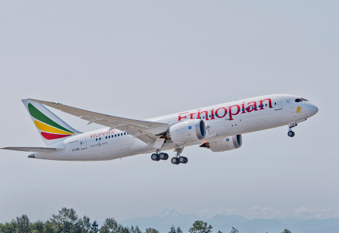 The Boeing 787 Dreamliner is Boeing’s most fuel-efficient aircraft, designed to be 20% more fuel-efficient than the Boeing 767 series. Its airframe makes extensive use of composite materials (80% by volume), and is easily distinguished by the noise-reducing jagged edges on its engines, as well as the upward sweep of its wing. The smallest of the Boeing’s ‘Dreamliner’ family of aircraft completed its much anticipated test flight in December 2009, with first delivery to All Nippon Airways taking place in September 2011. It can fly 381 people almost 7,500 nautical miles and its efficiency in flight has enabled airlines to launch routes which would previously have been economically unviable. These include London Heathrow – Austin (British Airways), Los Angeles – Changsha (Hainan Airlines), and Tijuana - Shanghai (Aeromexico). Inside, passengers benefit from features such as lower altitude cabin pressurisation and window dimming mechanisms replacing conventional pull-down shades. 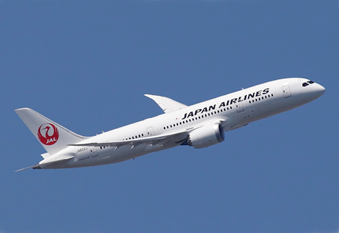 Primary operators of the 787-8 include All Nippon Airways, Japan Airlines, and Qatar Airways.